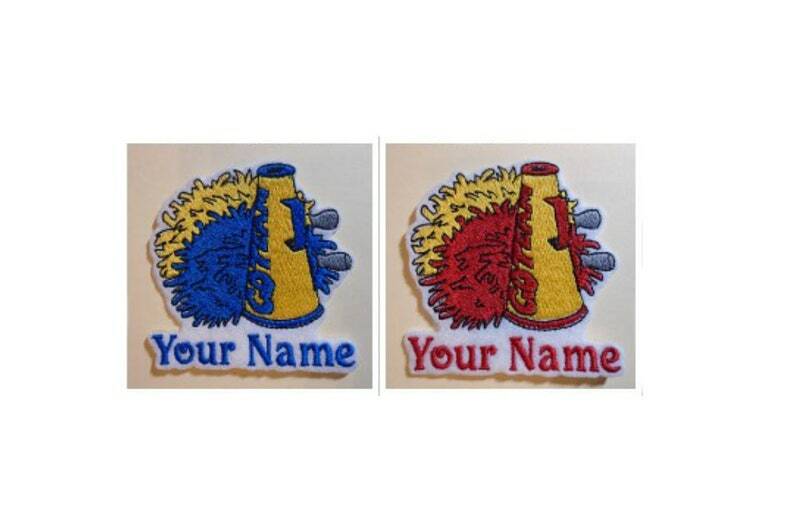 Customize your patch with your text. You can apply to your shirts and other clothing, backpacks, towels, blankets, Christmas stockings, diapers bags, tote bags, purses, hats, scrapbooks, and more. 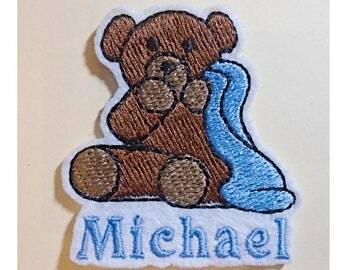 Approximate size of patch: 2.75"w - 4" X 2.75 - 3"h ~ The length of you text will determine the patch width. The minimum width will start at 2.75" and maximum 4". 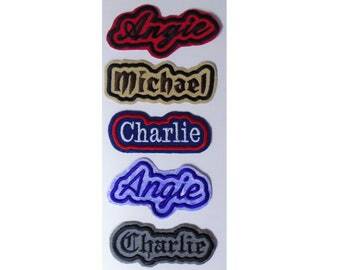 You can have 15 characters maximum embroidered including spaces. The fabric is felt heat fused to stabilizer to make the fabric stronger. These patches have an iron-on Fuse-N-Bond on the backside which is a fusible film that attaches the patch to most fabrics. Do not dry on high heat since the iron-on backing is heat activated. If washing it is recommended that you sew the patch on after ironing it on for the best long term hold. You can also use patch glue or FABRI-TAC GLUE which is recommended to adhere the patch to you item. On the "CustomColorsSendNote" option you can choose your own 2 colors for the design. Put in the "Note To Seller" on checkout. There is open fabric around the border you can use to sew the patch on for extra hold. Etsy does not have a custom form to fill out on check out. You can put the name or text in your note to seller on check out or send me a message through Etsy. If I don't hear from you I will contact you through Etsy's message system. If you have any questions send me a message through Etsy. Embroidered and handmade in the USA. Best purchase I have made on ETSY! This patch is seriously the best quality I have ever seen! Highly recommend.